You may have noticed on my social media. I took a trip to Austin, Texas in May. But, it wasn’t any ordinary trip. Indeed.com invited me to come as a member of the press to their annual Indeed Interactive conference. As far as conferences go, this one was awesome for me. It was like a job nerd’s dream. I had the opportunity to interview Paul Wolfe, the SVP of HR at Indeed for my podcast and for my Career Corner newspaper column. Indeed employees presented on all sorts of job search related topics, including the economics of hiring and what job seekers are looking for in a new job. They brought in outside speakers too, including my very favorite author, Malcom Gladwell. If you wondered what was going on with my crazy Twitter feed, this was it! I will be releasing my entire interview with Paul Wolfe soon, and you should check out my Career Corner Column about him this Wednesday. We talked about everything from employee benefits to why employers “ghost” employees during the job search to the supply and demand of job seekers (and how it can impact your search). I can’t possibly include all the excitement in one newsletter, but I do want to share a few facts and photos from my trip. First, did you know that career decisions are one of the most stressful life decisions? Of course you did! But, here’s a slide with the data to back up that feeling. Dismissal from work is rated as more stressful than foreclosure on your home! And, here are some of the top (stressful) issues reported by job seekers. 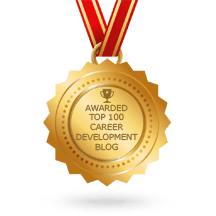 #1 – Waiting to hear back from the prospective employer. #2 – Finding the right jobs I want to apply to. Can you relate? Of course you can! The job search process can be very, very frustrating. Speaking of #3 above (“Circumstances that triggered the initial decision to begin my job search”), Indeed found that people often start looking for a new job after a trigger event. For example, you were thinking of maybe, possibly one day getting a new job. Then, your boss acted like a real jerk and yelled at you for no reason. Suddenly, one day just became today. Your job search has started – now. The conference was geared toward the Human Resources departments at companies across the U.S. It makes me excited to think that HR teams were exposed to so much great information about the factors impacting the job seeker, and the job seeker’s perspective. Here’s one last photo. This is Malcom Gladwell explaining what it is that we (as hiring managers) are getting all wrong about the job search process — and what we can do to make it a little more fair for everyone. Exciting, right?